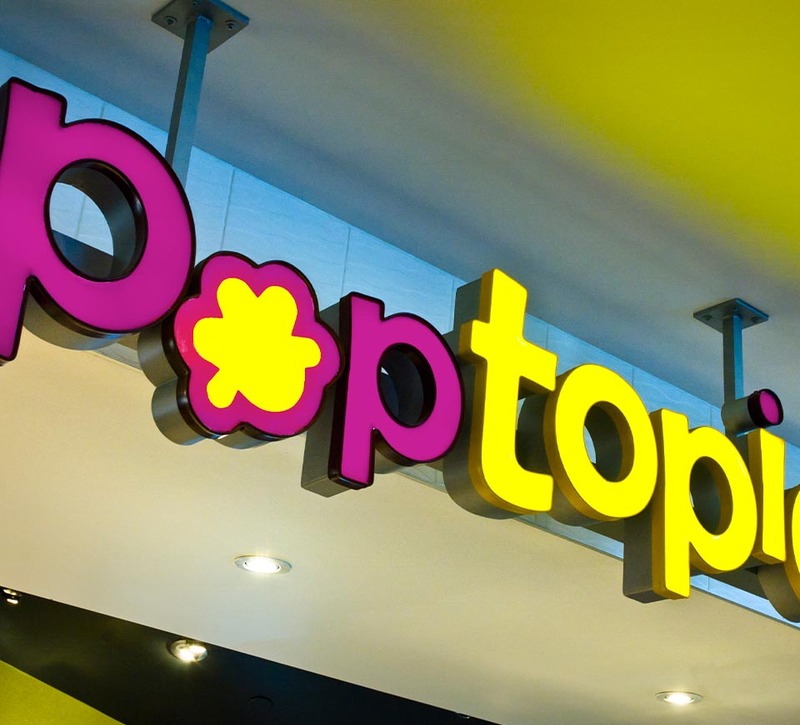 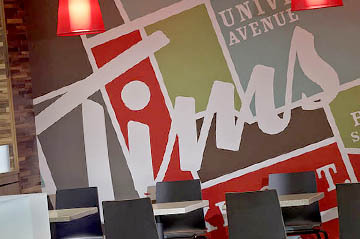 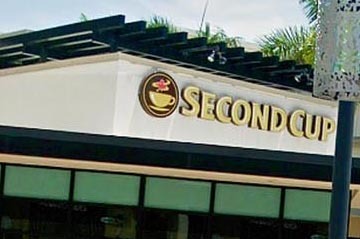 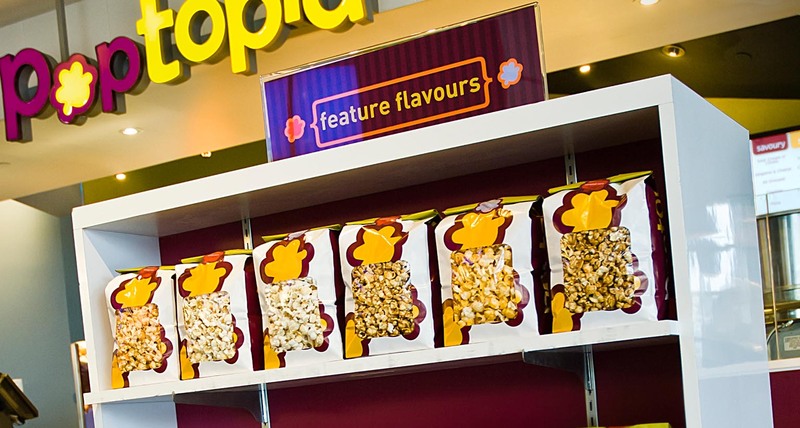 Cineplex Entertainment needed help developing a new retail brand that would fit within its various retail environments. 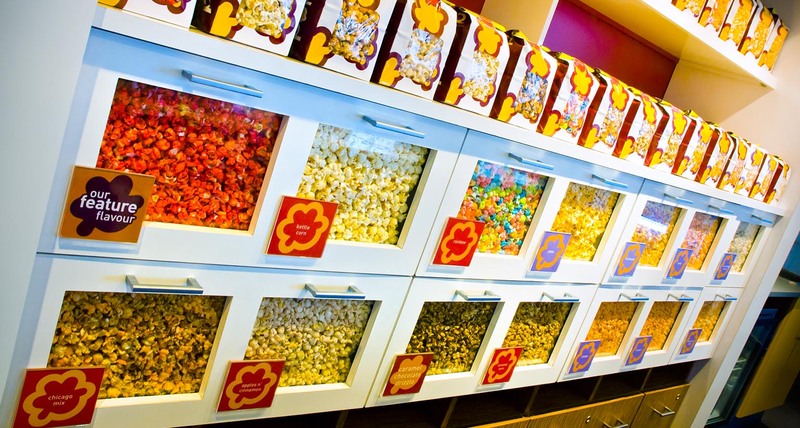 Everyone enjoys a bag of popcorn at the cinema. 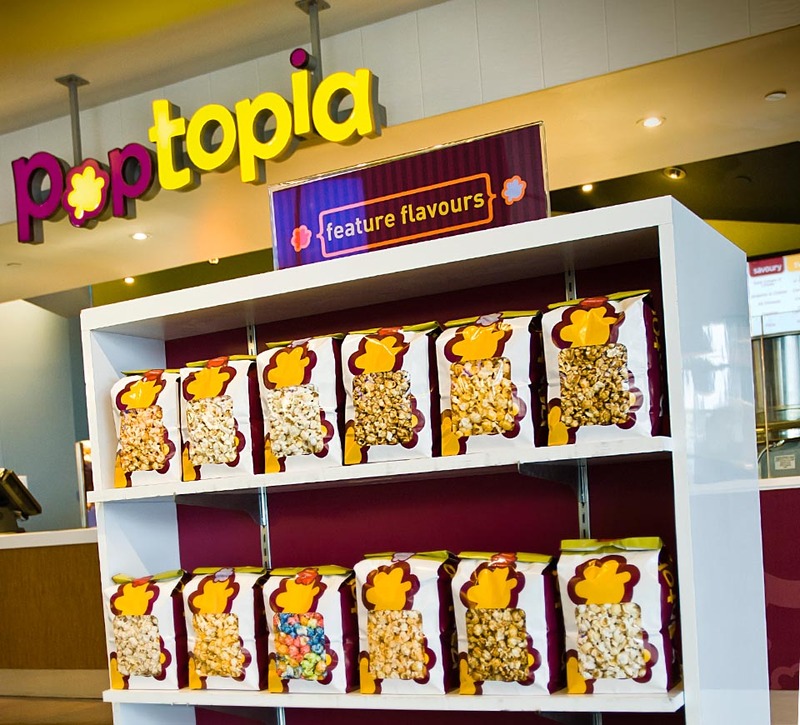 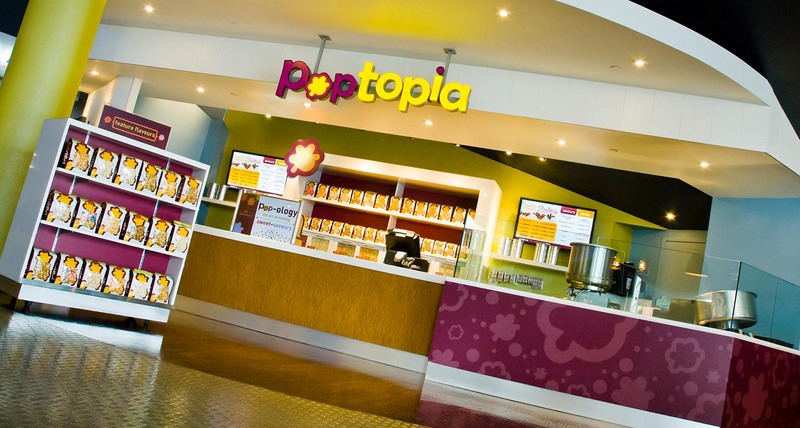 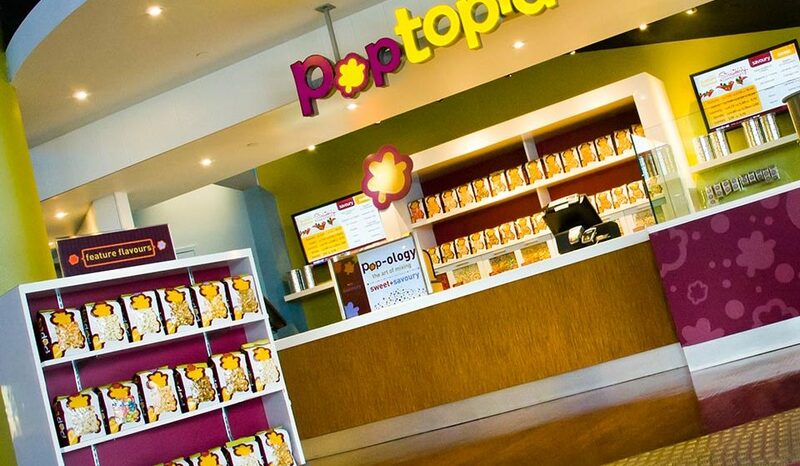 That was the thinking behind the introduction of a gourmet flavored popcorn concession for Cineplex Entertainment. 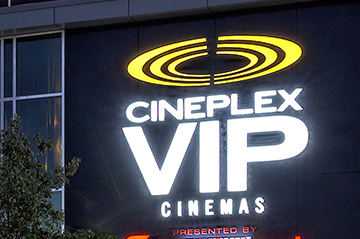 Shikatani Lacroix had to ensure that the design of this new retail space fit within Cineplex’s different theater chains: Cineplex, Silver City, Galaxy. 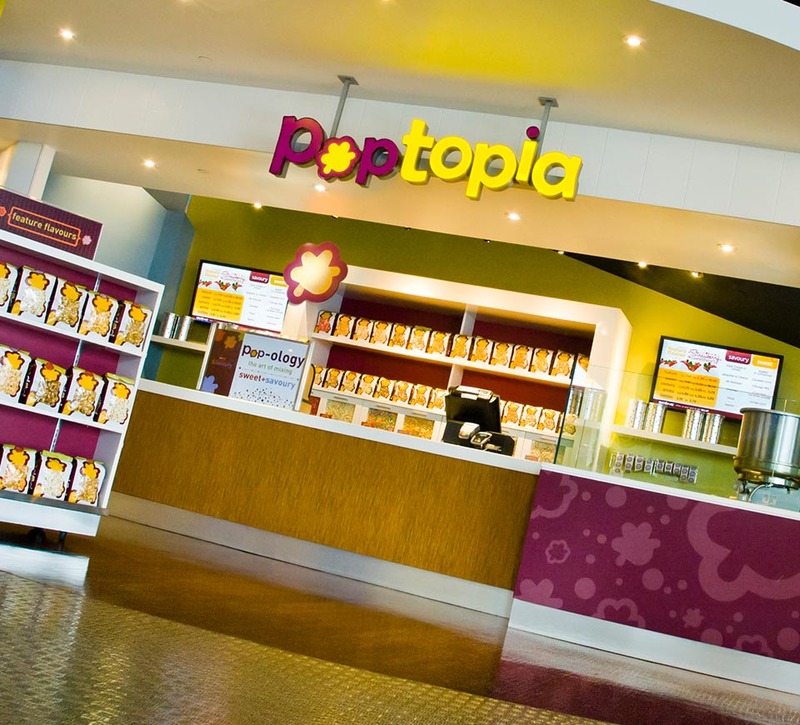 Shikatani Lacroix developed the new brand from scratch, naming it Poptopia and designing its logo and packaging collateral: popcorn bags, stickers and canisters. 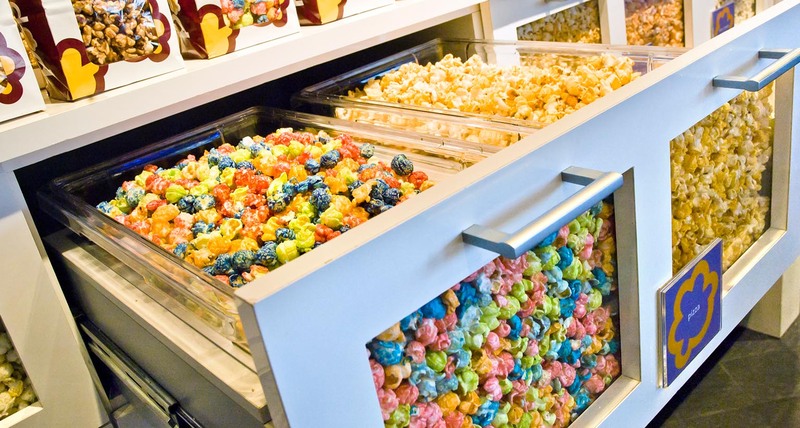 To add a personal touch, the concession stand includes a glass window that allows you to watch the popcorn being hand-mixed right there in front of you. 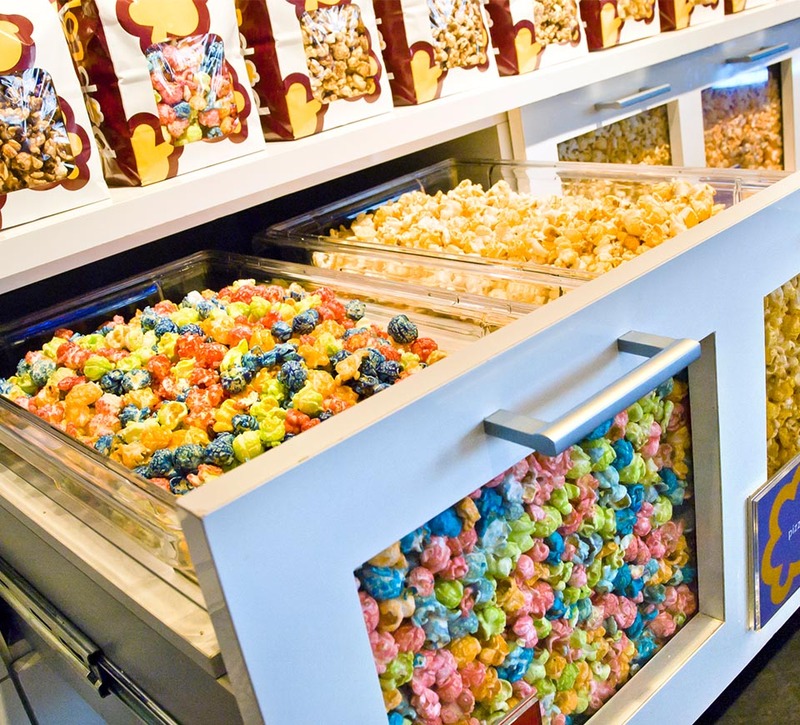 It’s an event whenever the popcorn is made; the window creates a unique user experience where the prep area becomes the focal point of the concession stand. 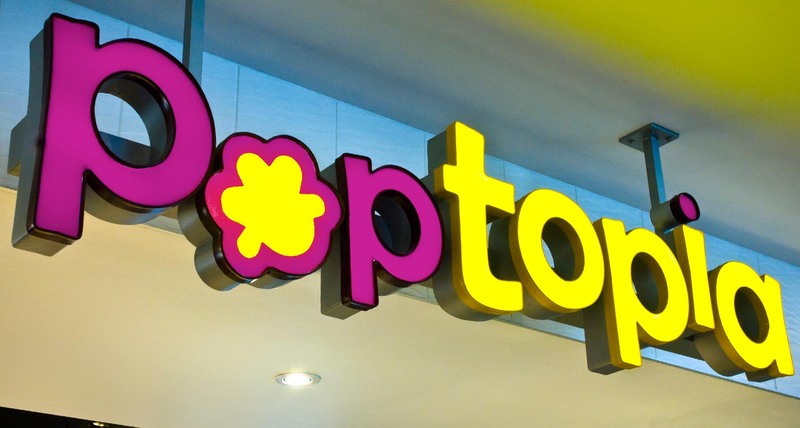 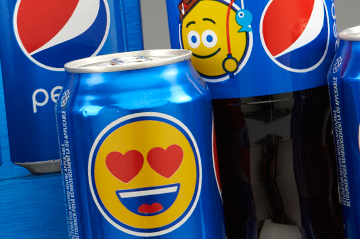 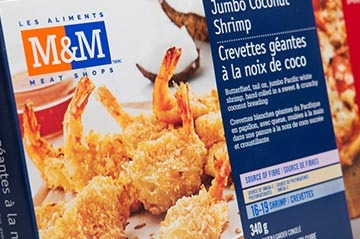 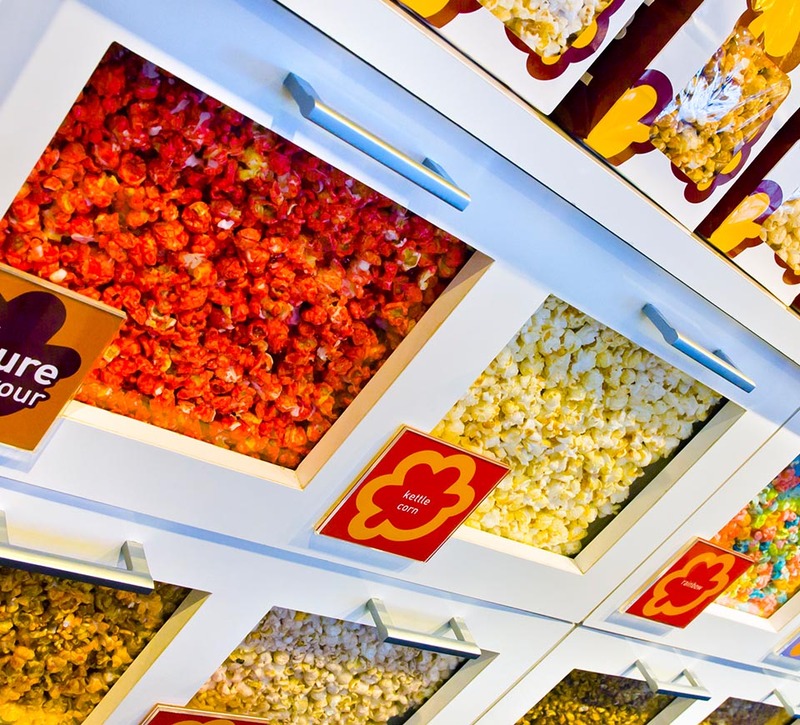 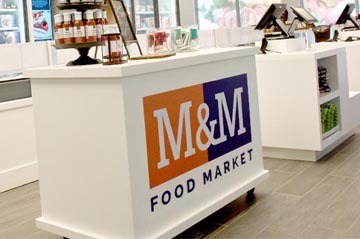 Bright, youthful colors convey the fun and energetic personality of the brand, communicated through each consumer touchpoint – from the glass enclosed popcorn drawer fronts to the color-coded stickers that illustrate each flavor category.